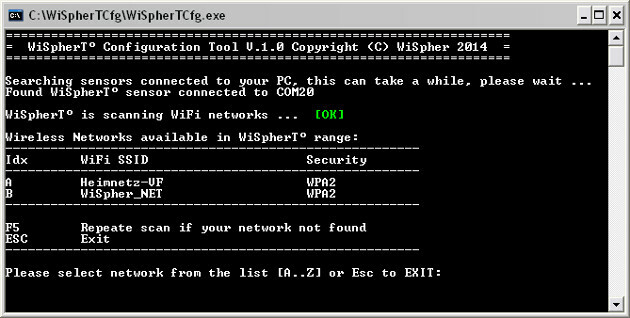 This guide describes how to configure WiSpherT° WLAN thermometer and connect it to selected WiFi network. 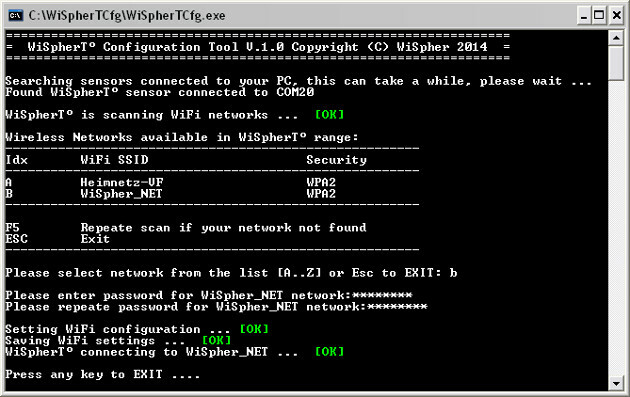 Start the WiSpherT° application and select Sensors List option. 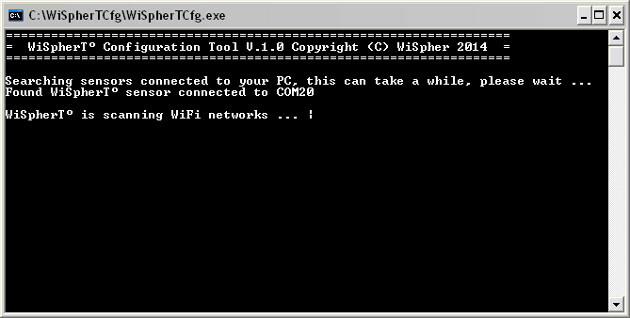 Start the WiSpherTCfg.exe program and wait until it finds the sensor connected to your PC. The green LED in the sensor starts blinking fast. The green LED in the sensor will slowly blink for 7 seconds and sensor will switch off. You should be able to see the sensor in the Sensors List on your smartphone or tablet. Select the sensor and enter name and update period for it.